When your time and/or money is limited, or if you want to have a professional tailor-made tour with an experienced professional tour guide in a SAFE way, the Eshkol Private Car Tour is the best for you! 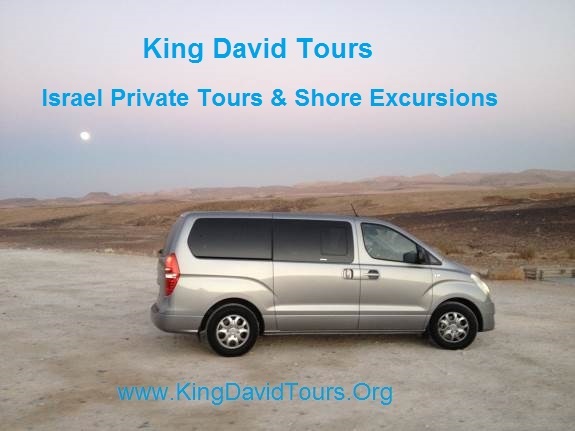 The Eshkol Private Car is an air-conditioned comfortable car / van that is allowed to be driven only by an experienced certified tour guide, who has received extra training, especially for this purpose. As soon as you land at Ben Gurion Airport, your guide will wait for you at the arrival hall and guide you to the car / van. He will help you to start your tour very easily, in the way best fitting you. If you are arriving with a cruise ship, your guide will wait for you at the harbor and guide you directly to the car / van. The "Eshkol Car" logo - brings us back to the biblical times, when the spies entered the Holy Land and carried grapes on their shoulders. You all welcome to explore the Holy Land, obviously not as spies, but as a VIP tourist, on your Private Tour ! * The Eshkol Car - has full insurance coverage for the tourist and is fully authorized by the Israeli ministry of tourism. Since you have your private tour, you can consult with your tour guide, on other interesting nice scenic or spots on the road, which are out of the main tourist attractions.